Product prices and availability are accurate as of 2019-04-24 18:34:44 UTC and are subject to change. Any price and availability information displayed on http://www.amazon.com/ at the time of purchase will apply to the purchase of this product. FAIRWIN is a registered trademark. We do want to provide the best products and service to our customers. 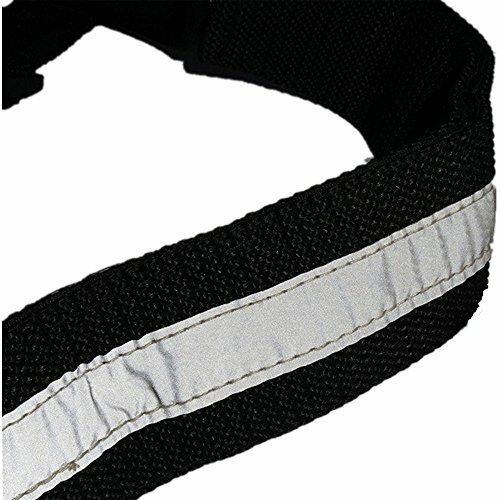 Here, We believe you can always find a satisfaction product suit for you! We wish you will have a comfortable shopping experience on our store! WE NOT ONLY MAKE PET SUPPLIES, AND ALSO FOR THEIR JOY. 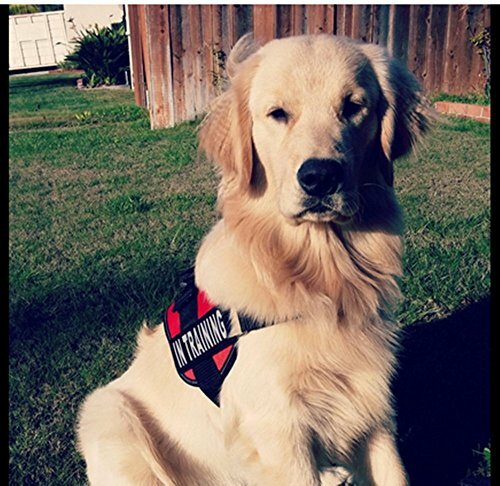 The service dog harness is built-in handle on top for control and training,also with a stainless Steel D-Ring for Leashes and ID Tags. 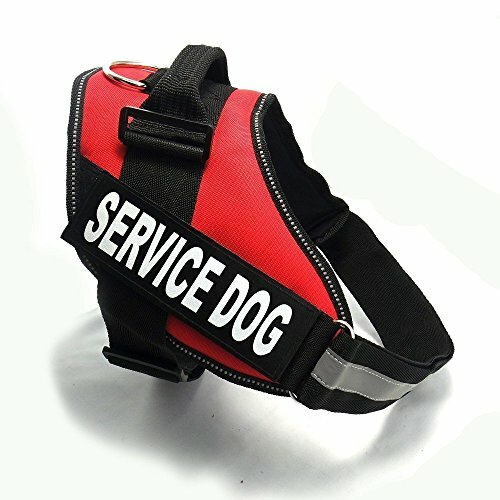 All adjustable straps designed on this service dog vest ,two reflective velcro patches "service dog" make your dog striking and safety in the night . High quality Nylon surface ,Soft and breathable inner lining on the underside with a comfortable feeling for your dog .Ideal solution for dogs which is pulled with sponge filling ,comfortable and luxurious. Size Measure:There are four sizes include S, M, L, XL. Please measure carefully before you place an order. If your dog's size is on the dividing line, for example, measured 24" in Girth, suggest to buy size L (Fits Girth23-29in) instead of M(Fits Girth 20-24in) , since while the vest measures 24" when stretched out on a table, it loses the ability to reach 24" when wrapped around the dog. It will be much too tight even your dog clearly measured 24". 2 year warranty service, 60 day unconditional return.If you want get more high quality products ,please kindly check Fairwin store .